These high-quality scraper knives are ideal for scraping paint off palettes. 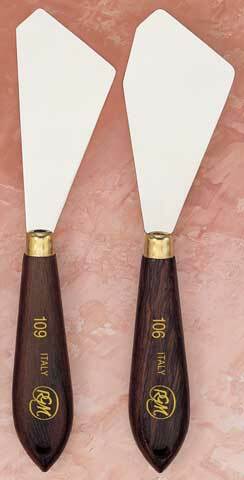 The blades are made of carbon steel then fastened onto fine hardwood handles with solid brass ferrules. Each blade is tempered and ground by hand to assure consistent flexibility and quality.